Today is the first day of Shavuot. 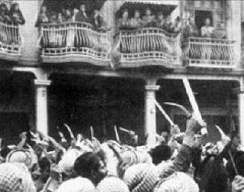 For Iraqi Jews who survived the Farhud pogrom, this festival will be associated in their minds with a horrific pogrom which occurred 76 years ago. I am re-posting an article written by Sarah Erlich for the Jewish Chronicle on the Farhud 's 70th anniversary. On 4 April a 65-year-old medical doctor living in a shabby suburb of Paris was woken at 4 am, beaten up for an hour and sustained 20 or more fractures to her body and face. At the end of her ordeal, she was thrown out of the window to her death. 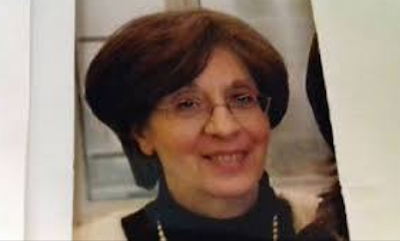 The murder of Sarah Halimi, an orthodox Jew, raises several unanswered questions. The first is - why was the killer, a 27-year old African convert to Islam named Kada Traoré, labelled a madman with a history of drug abuse and other offences, when all the evidence points to the fact he had committed an act of Islamist terrorism? We know this because every sound coming from Sarah Halimi’s apartment was recorded by a neighbour who is today ‘traumatised’ and under psychiatric care. The murderer was heard to recite Surahs from the Koran and call his victim Satan; on several occasions, he shouted ‘Allah Hu-Akbar’. When the police came to arrest him they found him praying. The second question concerns the role of the police who were in the building. Neighbours had called them as soon as they heard the commotion. The police might have been able to save Sarah Halimi, but decided not to intervene until they had summoned ‘reinforcements’. These took their time to arrive! The police stand accused of a grave dereliction of duty. The third question is the reluctance of the media and the authorities to call out the antisemitic nature of the crime. There has been little media publicity and allegations of a cover-up are rife within the Jewish community. 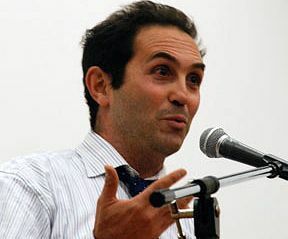 Human rights organisations, which rushed to indict the historian Georges Bensoussan for Islamophobia, have been silent. The murderer was dispatched to a mental hospital - as had been, incidentally, the perpetrator of the Nice massacre in 2016 (he had been diagnosed as psychotic when he lived in Tunisia). Yet the victim had long complained of antisemitic harassment by Traoré. That night, the murderer may have blundered into the building in a drug-fuelled haze, but the defenestration of Mme Halimi was antisemitic in effect, if not in intent. On 25 May the public intellectual Alexandra Laignel-Lavastine wrote an impassioned open letter, posted in Atlantico, to Gerard Collomb, the minister of the interior in the new Macron government. She pleaded with him to join the dots between the murder of Ilan Halimi in 2006 and Sarah Halimi 11 years later (despite having the same name they were not blood relations). Ilan Halimi was the young man abducted by a gang called the Barbarians, tortured for three weeks and found dying by the roadside - because he was a Jew. Both acts were antisemitic, both were proof of a moral failure of French society, a catastrophic failure to call a spade an ideological spade. The Halimi cases recall another antisemitic murder, earlier still: that of Sebastien Selam, by a neighbour. “I have killed my Jew,” the murderer shouted triumphantly. A recent convert to Islam, he believed his act assured him of a place in heaven. The killer of Sebastien Selam, too, was declared a mental case, and was allowed out of hospital at weekends to visit his parents in the same block where the murder was committed, and Selam’s mother Juliette still lived. His parents were rehoused; Juliette was not. Will the Macron government break with the past and begin to take Islamist anti-Jewish hate crimes seriously? We shall see. When I speak to Dhahari, who visited Israel in January this year as a participant in Yeshiva University’s Israel Winter Mission, he takes me into a world where anti-Semitism is the stuff that life is made of. Although there were a few friendly neighbors, you could never be too sure. “When I was about ten years old, my Arab neighbor, who was also my friend, tried to set me on fire on Shabbat morning as I was walking to shul and chatting with him. He stuffed a lit firecracker in the pocket of my jacket,” recalls Manny. Shortly afterwards, Manny was the first to run to his best friend, who had been shot. Years later, the pain of the horrific loss of a young life still resounds in Manny’s voice. 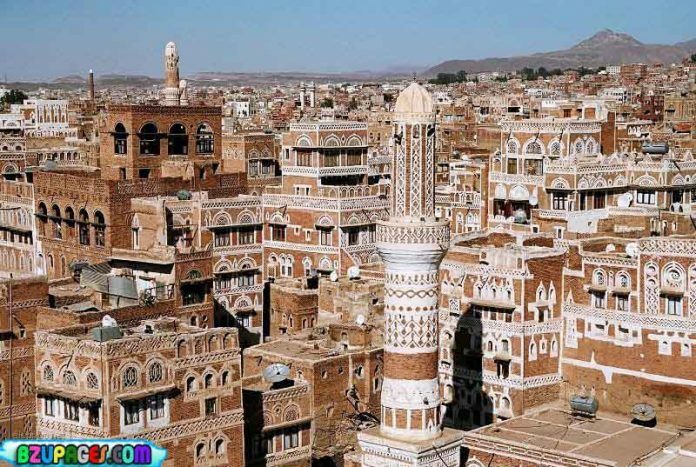 In 2006, after two years of negotiations and red tape, and thanks to a frequent traveler to Yemen who was involved in the Jewish school, Manny’s older brother, Tzemach, left Yemen for the US. “I was devastated when I realized that my father lacked the financial means to allow me to follow my brother,” says Manny. Barely thirteen years old, Manny understood that any future lay only in America. But now the door had slammed shut. The festival of Shavuot, which marks the giving of the Ten Commandments on Mount Sinai, begins this Tuesday night. It is customary to eat dairy foods. There are several reasons why: As the revelation at Sinai occurred on Shabbat, when slaughter and cooking are prohibited, the Jews used milk which they already had available before Shabbat. Here are two recipes from Egyptian-born cookery writer Claudia Roden at Jewish Heritage online which are a welcome change from the usual cheesecake or blintzes. Mix the cheese with the eggs. Cut the filo dough, brushing the pastry strips with a mixture of melted butter and oil and the tops with egg yolk mixed with 1-2 teaspoons water. • Add 3 tablespoons finely chopped dill or mint to the filling and 1/4 teaspoon nutmeg. • Sprinkle with 1/2 cup sesame seeds before baking. • For an alternative filling, mix 1 lb (500 g) cottage cheese with 1 lb (500 g) feta cheese (both drained of their liquid) and 4 eggs. • In Turkey, where the pastries are called filikas and ojaldres de keso, they mix feta cheese with Gruyere and fry the pies in oil. Milk puddings with ground rice are ubiquitous in the Middle East. For the Jews they are the all-purpose dessert of the dairy table and the traditional sweet of Shavuot and Purim. In Turkey and the Balkans such a dish was called "sutlage;" in Syria and Egypt, as in the rest of the Arab world, it was "muhallabeya." Every community has its own traditional flavorings and presentation. Use the basic recipe, and add the flavorings from one of the variations that follow. Each one transforms the pudding into something special. In a little bowl, mix the rice flour with a cup of the cold milk, adding it gradually and mixing thoroughly to avoid lumps. Bring the rest of the milk to the boil in a pan. Pour the rice flour-and-milk mixture in, stirring vigorously, then cook on very low heat, stirring continuously until the mixture thickens. If you don't stir every so often, the milk will thicken unevenly and form lumps. Let the cream cook gently for a few minutes more (in all, 15-20 minutes). Stir in the sugar and cook until dissolved. Stir with a wooden spoon, being careful not to scrape the bottom of the pan, because the cream always sticks and burns at the bottom, and you want to leave that part behind, untouched. The cream might seem too light, but it does thicken when it cools. Pour into a large bowl or into small individual ones and serve cold. From The Book of Jewish Food: An Odyssey from Samarkand to New York (with more than 800 Ashkenazi and Sephardi recipes) by Claudia Roden (New York: Alfred A. Knopf, 1997). When people think of Iraq, they think of a country plagued by war, on the verge of ‎collapsing. They think of a failed state that ethnically cleanses minorities and blows up holy sites as well ‎as ancient archaeological treasures. Most Iraqi Jews see nothing but a bleak picture when they look ‎at Iraq today. However, within this war-torn country, there is a Muslim voice of hope, calling out ‎for his country to become a true democratic state and to give Iraqi Jews the justice that they ‎deserve. He does this under the threat of death but remains determined to speak out for all of the ‎minorities in his country, including the Jews. "What is most puzzling is the very constitution that speaks of the freedom of belief and religious ‎practice of Muslims, Christians, Yazidis and Sabian Mandaeans does not address the Jews of Iraq ‎as a basic religion," al-Hamadani proclaimed. 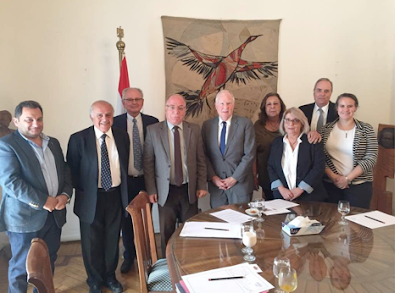 He noted that in theory, the Iraqi Jewish community ‎has the right to bring their case for restoring their rights before the Administrative Court in Iraq, ‎which is linked to the Iraqi Supreme Judicial Council -- technically independent of the ‎executive authority and the government. However, he asserted that in reality, the Administrative ‎Court is politicized, works to defend the actions of the Iraqi government and thus won't give them ‎the justice that they deserve. "Any lawyer who tries to defend the Jews of Iraq before these two ‎government-controlled courts is being threatened with blackmail and intimidation because your ‎opponent is the judge himself, so that the lawyer cannot take the liberty to defend his clients and ‎therefore, issues remain floating in the court because lawyers fear to follow up,"‎ he explained. 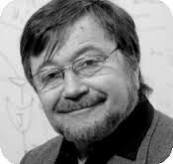 Levana Zamir, the head of the Central Organization of Jews from Arab and Islamic countries, ‎added: "Sometimes very important things begin with just normal people, simple people, a lawyer ‎like him. Then another can do the same and then the others. It can lead to all of the Arab countries ‎recognizing their mistakes. But he is not the first. In Egypt 10 years ago, Amin al-Mahdi, an ‎Egyptian journalist, wrote a book titled 'The Other Opinion.' He said exactly the same thing. The ‎book was translated into Hebrew. 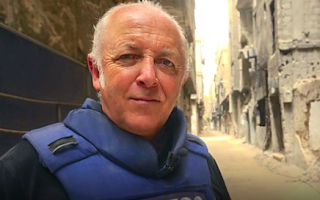 Over at the BBC, its longstanding Middle East editor Jeremy Bowen has been broadcasting 'Our Man in the Middle East', a series of mini-programmes, most of which so far reflect his personal view of the 'Israeli-Palestinian' conflict. Jerusalem-based Jeremy Bowen has long been criticised by supporters of Israel for his bias in favour of the Palestinians. In the light of persistent complaints that he never mentions Jewish refugees in his reports, I was interested to hear if this segment, Crossing the Divide, was going to be any different. At 5.22 into the programme, Bowen says he has learned about North African, Iraqi and Yemeni Jews by 'eating their food' in his visits to Mahane Yehuda market. But food is all he seems to have learned about, for we hear nothing about the circumstances in which these Jews 'emigrated' to Israel. At 6.20 Bowen again mentions 'Mizrahi' Jews, but it is only in the context of the 'ethnic divide': 'brown-skinned Mizrahim excluded by pale-faced Ashkenazim ...who created the state and behaved as if they owned it.' I would challenge Bowen to identify these pale-skinned creatures. 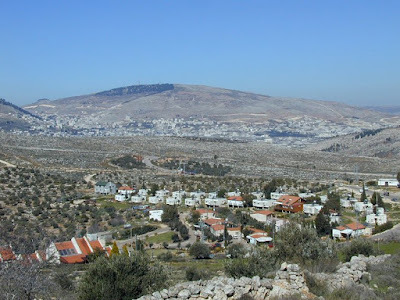 Referring to Ein Kerem, where Bowen made his home, he launches into the familiar narrative that it was a Palestinian village inexplicably emptied of its Arab residents. (He omits to mention that the Israelis were defending themselves in an Arab-instigated war. There is the obligatory mention of the de-contextualised 'Deir Yassin massacre', but no attempt to mention any of the numerous massacres of Jews by Arabs ). Israel passed laws seizing abandoned (Arab) property, we are told. At 8.10 we learn that hundreds of thousands of Jews 'from North Africa' were absorbed by Israel. 'They no longer wanted or were permitted to live in Arab countries,' according to Bowen. So yes, Bowen does mention Jews from Arab countries, but nowhere does he use the word 'refugee'; he does not refer to Jewish property seized, nor does he mention the vindictive pogroms or state-sanctioned persecution which caused most to flee. That would confuse the simplistic 'good guys-bad guys' narrative that the BBC has been feeding its listeners for years. In contrast to the forceful language used about the Palestinian nakba, Bowen uses obfuscation and euphemism. We can expect that the average listener will not come away any the wiser about Jewish refugees. 'Our Man in the Middle East' may be heard online for about one month after its first broadcast. Makdisi took that word — suicide — and ran with it, almost ridiculing it as an example of needless hysterics from the Zionist side. You could see where he was going. What kind of just society would treat the arrival of Palestinians as a national suicide? Sure, there may be a great number of Palestinians who want to return to Israel, but what’s wrong with Arabs and Jews living side by side, in full equality, in the same state and under the same government? There was a gasp among some pro-Israel members of the audience. Pearl himself made a grimace, and commented that minorities are not treated very well in the Middle East. I have a feeling Makdisi regretted his words as soon as he said them. Why? Because he’s no fool. He’s a knowledgeable professor, and he surely knows what’s wrong with Jews being a minority in a country of the Middle East. After the Six Day War, Tania’s family realized that they could no longer stay in Lebanon. Until the war, they had lived together and were friends, but after the war, attitudes changed. “It wasn’t our country. We were not wanted.” There was a lot of resentment that Israel had won. “We didn’t have a very hard time but it was emotionally wrenching,” explains Tania. She had grown up thinking she was part of the country, and “all of the sudden you are a stranger.” They left Lebanon in 1970 and went to Panama, where her brothers had already settled. There she met her American husband who was working for the Defense Department. The new couple were not particularly religious and moved to Aberdeen, Maryland, where her husband Mel got a job. “My husband, my son, and I began to return to Judaism together, but then our son took off, and we had to play catch-up,” says Tania. Their son Max felt drawn to Judaism even as a very young boy. The Shichtmans realized that they had to move to a Jewish area for his sake. But it was not enough for Max. By the time he was bar mitzva, he decided to wear a kippa and expressed a desire to attend Beth Tfiloh school. Tania and Mel were happy with this and encouraged him, because they wanted to get closer to their roots as well. Eventually Max became a rabbi and now lives in New York. Jonathan Attar was a teenager living in Iran. He recalls the first days of the war when the only news they heard was the Arab propaganda declaring their victories. All the Jews were crying, and fast days were proclaimed. The Moslem population, meanwhile, was rejoicing in the streets, shouting “Death to Israel! Death to America” and giving out candies. Even for a few weeks after the war, the synagogues were closed because the Jews were afraid the Moslems would come and try to kill them. Fortunately, no one was hurt. A few weeks later, everything was back to normal, and they resumed the relationship they had with their Moslem neighbors as it was before the war. Margalit Tiede was only nine years old and living with her family in Moshav Yish’i, a small agricultural village comprised of Yemenite immigrants. While growing up, Margalit lived a very sheltered and somewhat secluded life. There was no real transportation, and they rarely left the yishuv to go further than nearby Beit Shemesh by horse and wagon. Before the war, moshav members made a trip to Beit Shemesh to stock up on dried goods and necessities for the “shelters” (actually, just trenches they had dug themselves). Families were instructed to prepare food and water ahead of time. Twice a day, Margalit’s father, who was a paramedic in the reserves, and her brother would leave the shelter and milk the cows while “hoping that nothing would happen.” The chickens also had to be cared for. “Life doesn’t stop on the farm, so we had to keep doing these things during the war,” says Margalit. The moshavniks usually went to Beit Shemesh every Tuesday and Thursday to sell their produce. During the war, however, they had to wait for a cease-fire in order to travel. Whenever they heard a siren, day or night, they all had to run to the trenches. When it seemed quiet, her mother would quickly run home and cook them food. On some of the days, they heard the sirens constantly and saw the airplanes flying overhead, never knowing whether they were friend or foe. Most of the men were in the army or in the reserves. The remaining men patrolled the moshav. “We could hear explosions and knew when something was happening, but no one told us what was going on for many days.” She doesn’t think people were afraid. As children, they used to run out and play when there were no sirens. Also, they did receive news of the Israeli successes, although not every day. “I remember that after Jerusalem was liberated someone came to our village with a loudspeaker and announced, ‘Yerushalayim beyadeinu.’” Everyone ran out of their trenches onto the streets of the moshav, shouting to each other, “Yerushalayaim beyadeinu” and dancing in the street. Gila Davis was 12 years old and living in Cairo with her well-to-do family. The Six Day War was when she realized that it was a big deal to be a Jew living in a Moslem land. Before the war, they had friendly Arab neighbors, and “everything was fine.” As the war drums began beating, the Jews felt something ominous in the air. Those wealthy enough, sent money out of the country for safekeeping. The day the war started, a fast day was proclaimed in the community. As soon as the fighting began, Gila’s father and all Jewish men between the ages of 18 and 60 were arrested. They were taken to a type of concentration camp three hours away, in the desert, where conditions were terrible. In the beginning, while the war was going on, the men suffered terrible torture, and for nine months there was no communication at all. No one knew the men’s fate. 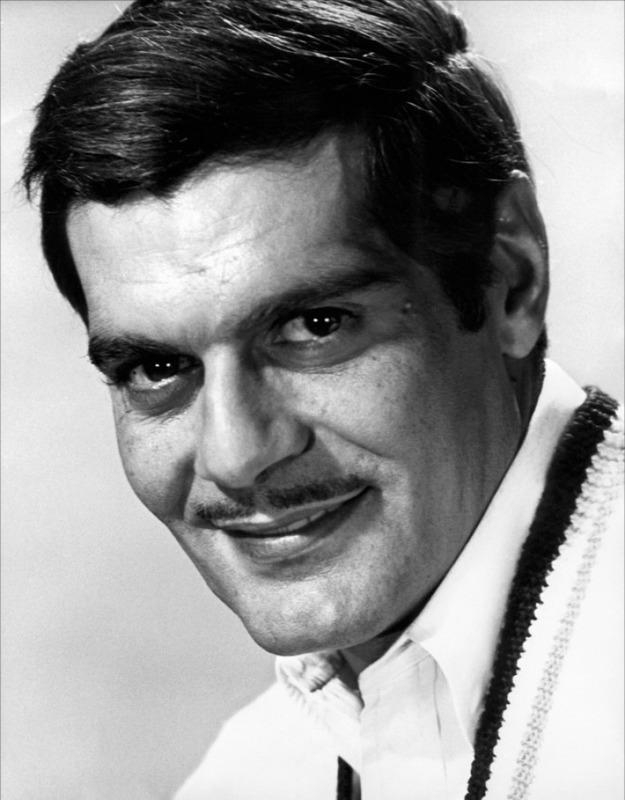 Gila’s family feared their father was dead. The day before the police took Gila’s father away, her mother had gone into the hospital for emergency surgery. When they came to arrest him the next afternoon, her father gave Gila the keys to his business. ”Take care of your siblings and don’t let anyone in,” he told her. “I was in a trance. I didn’t know what was going on.” Gila says. There was no parent in the house as her mother was still in the hospital. Gila heard a commotion and went to the balcony overlooking the building’s courtyard. She saw masses of Arabs rallying against the Jews and promising to kill them. A young man, the son of their Italian Jewish neighbor, was being dragged away by the police. His young wife, with a new baby in one arm, was holding on to him with her other, pleading, “Please don’t take him away!” The policeman threw the woman to the ground. Gila started crying, believing they would never see their father again. Then all her siblings joined in with her tears. Before the war, Gila had lived a very sheltered life, and her father was quite overprotective. The children didn’t go anywhere other than the expensive French school they attended and straight home. Her mother never left the house, and when her father was gone it was especially hard for her. “My mother didn’t even know how to go to the store and buy a loaf of bread. My father did all the outside things,” she recalls. As previously sheltered as she was, when the war ended and they were still at her grandparents’ house, Gila decided to run away to find her mother. She wanted to go home. Conditions in the grandparents’ apartment were difficult, and they were always hungry. 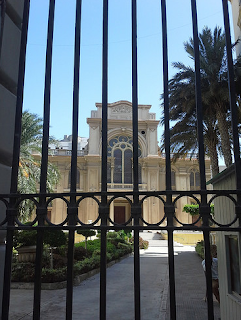 She had never been allowed out alone but figured out that her mother must be in the only hospital in Cairo that allowed Jews; it was run by nuns. She managed to find her mother, who asked upon seeing her, “They took him away, didn’t they?” Her mother immediately left the hospital, against medical advice, so that she could bring all of the children back home with her. When the war broke out, all the Jewish businesses were forced to close. Her father was accused of being a spy. “Later on,” says Gila, “My mother was forced to sell my father’s business for next to nothing. We had no source of income. No one was allowed to work, and money became very scarce. We had to sell all the furniture in order to buy food.” Their relationship with their neighbors also changed. Things were never the same, and Jews felt the great animosity and resentment of their non-Jewish neighbors, especially the Moslems. After a year of writing letters pleading for help, they were able to get some aid from the Red Cross, which met them quietly in the shul. But Gila remembers that “we were always hungry.” For two years, until they were able to leave Egypt, her mother fasted every Monday and Thursday. 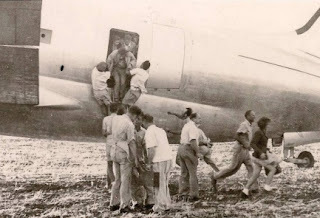 Nine months after the men had been arrested, the families learned the fate of their loved ones and were allowed to visit the men in the camps. Each month they had to register the names of those who would be visiting, and only two family members were officially allowed to go for a monthly visit. Somehow, her mother managed to scrape together enough money for the crowded, hot, three-hour taxi trip through the desert. Usually the guards allowed the children to visit, too, although it was against the law. Shulamit (Shula) Cohen-Kishik, who was an Israeli spy working as an undercover agent in Lebanon, has passed away at the age of 100. 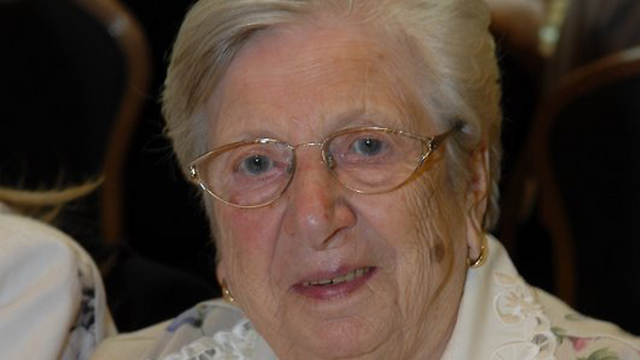 She was sharp until her last days, says her son, diplomat Yitzhak Levanon. Report in Ynet News. Cohen, who was laid to rest on Sunday, is survived by her seven children and dozens of grandchildren and great-grandchildren. Born in 1917 in Buenos Aires, Argentina, she was raised by Zionist parents who immigrated to Israel when she was but a child, before the State of Israel was established. At the young age of 16, she married Joseph Kishik, a wealthy Jewish-Lebanese businessman from Beirut, who took her back with him to Lebanon. By the time she was 24, Cohen had given birth to five children. Cohen quickly became a prominent and active member of her community, and even managed to establish ties with senior Lebanese officials. At the eve of the 1948 War of Independence, Cohen felt an obligation to help the budding country and—believing she could make a difference—managed with great effort to contact Israeli intelligence sources, becoming a Mossad secret agent code named "The Pearl." 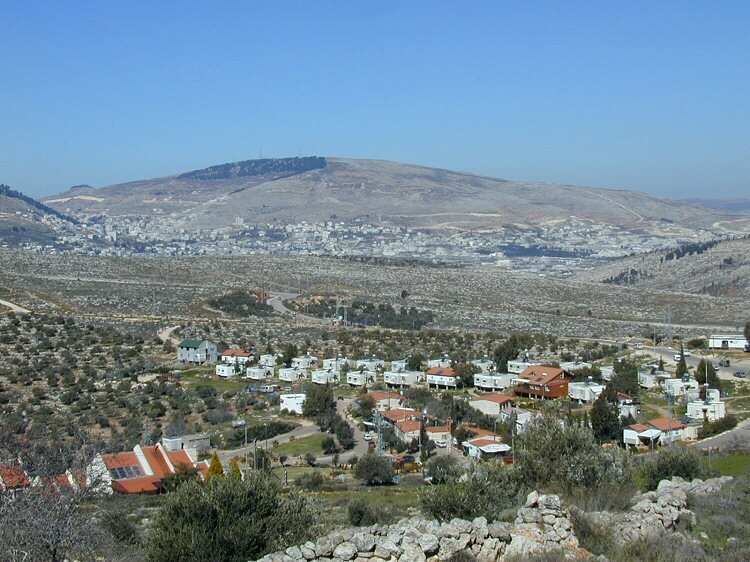 Leor Zeberg, a real estate expert in Judea and Samaria, called for the government to allow the Jewish residents to build on their own land before allowing the PA to build new Arab communities on state land. According to Zeberg, there are thousands of acres of land which belong to Jews and which the Jews have been banned from building on since the signing of the Oslo Accords in 1993. "In Judea and Samaria there are thousands of dunams which were purchased by Jews, some before the establishment of the State of Israel and some which were [purchased] in the 1980s and afterwards," Zeberg said. "From the moment the Oslo Accords were signed, Jewish owners were denied the possibility of building on these lands, and the property rights of the Jewish owners have been damaged and their ownership rights cannot be actualized." "There are investors from Herzliya who, because of their Zionist [ethos], bought land in northern Samaria a few decades ago, which years later were declared part of Area B [off limits to Jews]. When their grandchildren tried to realize [their ownership rights], they were denied." He called for a change in policy toward Jewish landowners in Judea and Samaria. "In addition to the damage to landowners in Area B. "Jews who want to purchase land in Area C are also facing difficulties and bureaucracy . It is important that in the discussions which arise, a solution be found to the property rights of the Jews in Area B, before they take care of Arab construction in Area C."
Despite the fact that we have the oldest Jewish cemeteries in the world, they have been left vulnerable to desecration and vandalism. Cemeteries are not the only neglected part of Jewish legacy in Egypt. According to Magda, there are about 12 Jewish synagogues in Cairo and Alexandria left without maintenance. The majority were closed because there is no one left to pray there. Furthermore, there are registers belonging to the Jewish community in Egypt, which are part of history that need to be digitalized and safeguarded. The original written Torah also needs to be restored and kept in a museum, along with other parts of the heritage of this dying community. About six decades of propaganda and hate speech finally led to the end of this country’s Jewish community. The same hate speech led to the forced evictions of the Baha’i from Sohag in 2009 . The same hate speech led to the brutal murder of four Shia men in June 2013 . The same hate speech led to a swell of sectarian violence against Christians, with dozens of churches burned down, and dozens more Christian homes and stores looted since 2011. Hate speech and lack of equal protection under the law inside the community creates a hostile environment for minorities, where violence could be justified. Since 2011, at least 40 incidents of sectarian violence occurred in Egypt . Most of these incidents followed hate speech, which incited the perpetrators to commit the attacks. Since 2011, sectarian violence took the lives of at least 100 Egyptians, where the absence of accountability and lack of protection for vulnerable groups had become a common feature . We should learn from our mistakes. We should start preserving our Jewish heritage and restore synagogues. We should face hate speech and discrimination. We should stop sectarian violence and bring its perpetrators to justice. It is easy to understand however why this is the mainstream account. The Second Exodus from Egypt occurred in 1956, under Colonel Nasser's orders, stripping all Jews of their Egyptian citizenship and expelling them from Egypt. The vast majority of Egyptian Jews fled to one of three destinations of refuge: Israel, Mediterranean Europe (mainly France and Italy) and the Americas (primarily Argentina (huh? - ed). This was, however, neither the beginning of trouble for Egyptian Jews in modern times, nor its end. Although the strong rise in anti-Jewish sentiment was slow and steady since the 19th century in concurrence with the circulation of Theodor Herzl's project for a Jewish state, the tide started to turn from the 1920s onwards. Jewish settlers in the Holy Land multiplied in numbers as they increasingly faced persecution in Europe, particularly in Germany, Italy (Italy? ed) and Russia. Zionist militias were formed from newly arrived Jews to guard and perform militant operations in Palestine, which only served to worsen the atmosphere and increase animosity between Jews, Christians and Muslims in Palestine. The press in neighbouring colonially oppressed countries steered public opinion against Jews and Jewish settlements, perceiving them as an intruding threat of another form of colonialism. There were also calls for fraternal solidarity between Muslims against a 'Jewish' other. The Jewish state project was ironically providing a refuge to European Jews at the expense of their native North African and Eastern Mediterranean Jewish counterparts. Hate-induced incidents were on the rise in Egypt at the time and the declaration of the state of Israel in 1948 was just the justification Egyptian authorities had been looking for to officially persecute Jews as potential spies and sponsored 'terrorists'. Parents and grandparents do not disclose much of their heritage to their children and grandchildren for fear of bringing upon them the old plague of persecution. The older generations are not to blame for this conscious act of forgetting history and heritage: warning signs against remembering often make themselves felt. The slightest link or encounter with Judaism or Israel often led to the severest repercussions upon a person and their family, no matter what faith they practised. Waguih Ghali, a Coptic Christian from Cairo who fled Egypt in fear of arrest by the military coup regime after coming under suspicion of being a communist, is one such example. While living in London, he worked as a journalist for the Guardian and agreed to report briefly from Israel. When his passport expired, the Egyptian government refused to renew his passport because of his association with Israel. He lived the rest of his life in depressive nostalgia, publishing his only novel, Beer in the Snooker Club, in 1964 and committing suicide five years afterwards. *Nada Kamel, director of Salata Baladi, had a Jewish mother called Mary Rosenthal. Contrary to the assumption that the Jews of Morocco are all of Sephardi origin, Moroccan Jewry, much like Morocco itself, has a varied and layered past. 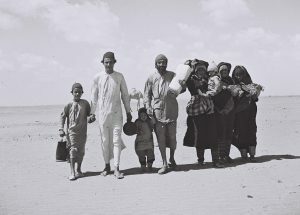 Starting from the destruction of the Second Temple, exiled Jews sought refuge in Morocco, where they lived among – and possibly intermarried with – the indigenous Berbers. A second wave of Jews came to Morocco around 200 CE, primarily from Greece. Jewish merchants set up shop and communities along the coast in cities such as Casablanca, Rabat and Essaouria. The next wave occurred during the seventh century during the Islamic invasion, shortly after the death of Muhammad in 622. It wasn’t until nearly a thousand years later that the exiled Spanish and Portuguese Jews fleeing the Spanish Inquisition in the late 1400s began pouring into the country. From that point on, the traditions and practices of all four waves of these Jews meshed not only with each other but with the land they inhabited. Their artisanship, architecture, cuisine and style of dress are noticeably indicative of Moroccan culture. Warding off the evil eye is something that was picked up and has been adopted into the culture; this is not unique to Jews but is found among many of those who inhabit the kingdom. 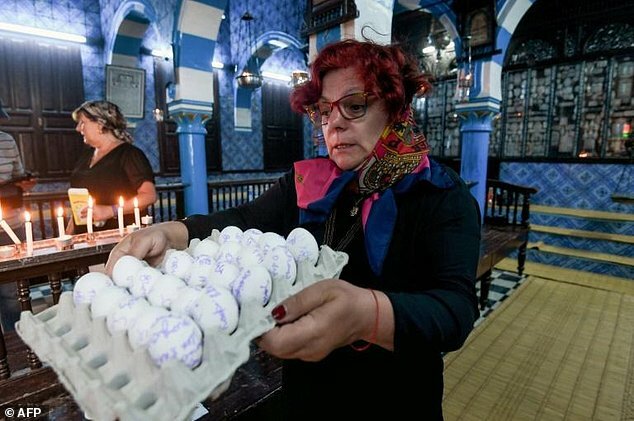 In addition, people pay homage to their tzadikim in the form of “hilulas” or prayer festivals that take place annually in cemeteries all over Morocco. Thousands of Moroccan Jews, mostly from Israel but also from Canada, France and Morocco come on the anniversary of their tzadik’s death and joyfully pay their respects through lively meals, prayer and psalm readings near their graves. While European Jews were typically found in shtetls and praying at a shul, Moroccan Jews lived in the mellah and prayed at their local sla’ats. To be clear, mellahs were not a means to exile the Jews and they were not considered ghettos; on the contrary, they were to safeguard the Jews during times of instability. These mellahs (literally salt marshes) were established shortly after the Sephardi Jews arrived in Morocco, and can be found in all four royal cities as well as cities like Sale, Essaouira and Meknes. Jews of Morocco have historically enjoyed a relatively quiet and prosperous coexistence with their Muslim neighbors. However, we cannot ignore the fact that they were always considered second-class citizens within the kingdom. Their overall safety and quality of life were often not affected by this lower status and many will recall friendly, almost family-like, relationships between one another. At its peak, there were over 250,000 Jews in Morocco, but following the establishment of the State of Israel, those numbers dropped dramatically to around 3,000. A majority of those remaining resided in the seaside city of Casablanca; around 1,000 Jews still live there today. 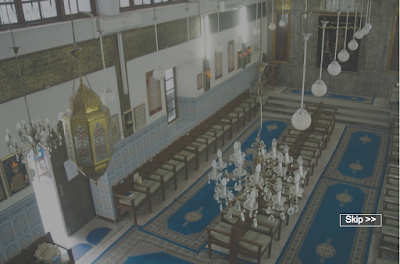 Casablanca holds the largest Jewish community in the Arab world and has the only Jewish museum in the Arab world. Guests can glimpse historical Moroccan Jewry – including clothing, old photographs, ritual paraphernalia and even a small synagogue on display. The only thing missing is a gift shop. 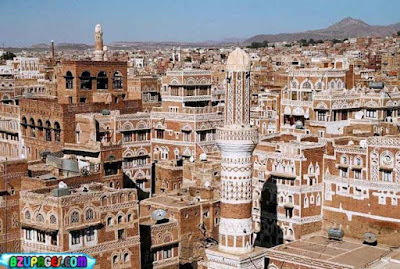 The city also boasts more than 30 synagogues, a handful of kosher restaurants, Jewish schools, community centers and a Jewish cemetery outside the no-longer-inhabited mellah. The rest of what remains of Jewish life in Morocco is scattered throughout the country, mainly tucked away in the somewhat deserted mellahs in the cities. The remains of this dwindling community are a bittersweet lingering of times past. However, as the Jewish population shrinks in Morocco, there has been a recent effort in reviving these places throughout the country, as an increasing number of organized tours of mostly Diaspora and Israeli Jews, as well as Moroccan Jews taking a family roots trip are coming to visit and learn. One of these places is the Sla’at Alazama in Marrakesh. Hidden behind an unassuming blue door in the mellah is the oldest active synagogue in the city. Upon entering, an impressive blue and white courtyard leads guests into the decorative sanctuary that is a popular spot for tour groups and bar mitzvas. To keep up with this surge of tourism, artisans and merchants inside the medinas are ready to offer Jewish tourists an array of Moroccan Judaica, both old and new. In the bustling medina of Fez, one can purchase hanukkiot, mezuza cases, old Torah scrolls, dishes with intricately painted stars of David and even old dowry chests for young Sephardi brides. (“Free shipping! We take cash, euro, dirham, whatever you want”). Also in Fez’s medina, tourists can take a peek at Maimonides’s former dwelling place, which also serves as a cafe, adjacent to the famous water clock. Visiting Jewish sites in Morocco, like the dozens of synagogues and cemeteries scattered throughout major cities and outskirts can evoke mixed emotions. On the one hand, it is amazing to see relics of our shared past intact and open to the public. On the other hand, they are just that, relics from the past. Despite all of this, the Moroccan Jewish community is convinced that a revival is coming and Jews of Moroccan descent will in fact return to the land of their ancestors and bring life to these relics. 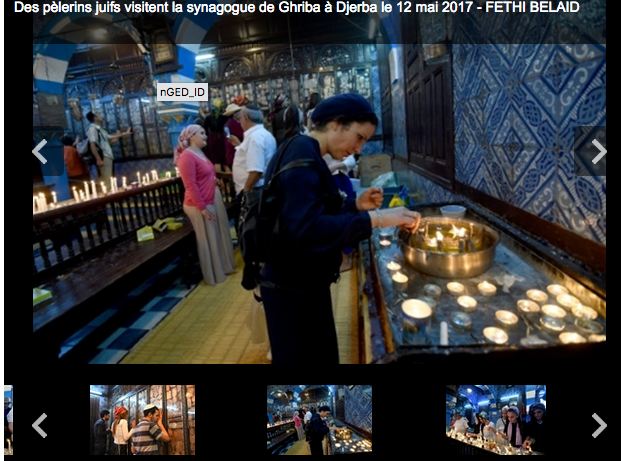 In spite of security concerns, this year's Lag Ba'Omer pilgrimage to the Al-Ghriba synagogue on Djerba went off without a hitch. Some 3,000 visitors are thought to have attended. 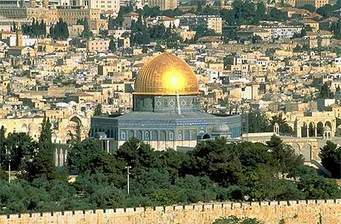 Now, according to the Daily Mail, Tunisia is seeking UNESCO protection for the site - a paradox, in view of the UN body's attempts to declare the Temple Mount in Jerusalem, Judaism's most holy site, a Muslim place of worship. Tunisia plans to seek UNESCO World Heritage status for the island of Djerba, site of Africa's oldest synagogue and an annual Jewish pilgrimage, its culture minister said on Sunday. Speaking on the last day of the pilgrimage to the Ghriba synagogue, Mohamed Zine El-Abidine said the island was important for its "cultural and religious uniqueness". He said the application to add Djerba to the World Heritage List would highlight the rich religious heritage of the island, which is home to centuries-old mosques, churches and synagogues. He did not give a specific time frame for the application. The cultural agency of the United Nations already lists eight sites in the North African country, including the old cities of Tunis and Sousse and the city of Carthage, once the capital of the Mediterranean-wide Phoenician empire. Some 3,000 pilgrims attended this year's Jewish pilgrimage to the island, which ended Sunday under tight security following a string of jihadist attacks in Tunisia. "There has been a real increase compared to the past two years," Tourism Minister Selma Elloumi said. "It is an important sign for the start of the tourist season," she added. The number of pilgrims visiting the synagogue has fallen sharply since a suicide bombing claimed by Al-Qaeda struck Ghriba just before the 2002 pilgrimage, killing 21 people. When will Arab states apologise? Having failed to abort the newly established Jewish state by force of arms, these states took revenge on their own Jewish communities, some of which had lived in those lands way before their Arab/Muslim conquest in the seventh century CE. Egyptian Jews are hopeful that they could be on the verge of a breakthrough: the Egyptian government has in principle recognised the right of Egyptian Jews to have access to their communal records.